My favourite is those oreos - maybe because I just want to eat one of those now! I have to say that I love that awesome sunset in your Foto Friday post aswell. 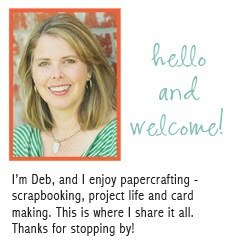 Wonderful, Deb! I really like the playing football in the backyard shot. Such a neat perspective. Knowing me, I would have gotten knocked over. Ha! Love all the shots but the flowers on the table really stood out to me! Wow! These are wonderful!! I love the legs photo and your table. Gorgeous!! Love the oreos and the table. I love your week of photos! I seriously look forward to seeing what you came up with :D I am also laughing that you have never seen a snow blower. Sounds like you need to take a trip up to Chicago! :D My hubby will gladly teach you how to throw snow!! Great photos! I want an oreo now! I think my favorites... the flower on the table shot and the football in the backyard shot! Love the action shots! So clear!!!! I also love the one of the sun coming in...so serene! Love your perspective on the legs and the oreos. And your table is gorgeous! Love the oreos, playing football outside, and the light coming in the window. They are great photos! The oreos and the flowers on the table are my favs! Very nice week you had! Great shots..I particularly love the oreos (and not just because I LOVE oreos..but the set up and light is so nice!) and the tabletop. The tabletop shot looks like it could go in a magazine or something. I love visiting your blog! Nice shots, always!!! Such a beautiful choice of photos - they look so wonderful together in that mosaic! Love the oreos, football in the backyard (cool perspective! ), and the lighting on your table. Great collage once again! Again I love the Oreos, but I really love the light coming in your window. Great composition, I love the lines of the chair, and it just looks like the perfect place to have a cup of tea. oooo I love the oreos! I just want to snack on them. I am doing P365 too. I love the way you made yours a collage.